New…St. Joseph First Children’s Book was written by Father Lovasik, contains over 50 popular Bible Stories from the Old and New Testaments. This divine book has been written for children and presented to the People of God as a means of fulfilling the earnest wishes of the Church. 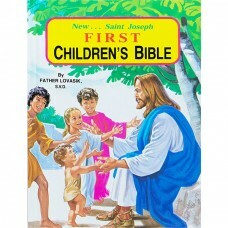 A perfect book for introducing very young children to the Bible.